Every industry domain has experts, critics, and veterans and the similar case is applicable to the stream of real estate. The industry has quite many renowned developers who are a part of various industry regulatory channel authorities and bodies along with the market experts, and more who keep on predicting the future of the market amidst its changing landscape and all the highs and lows that the developers and customers keep on facing. And if we go by the advice and suggestions of the market experts and veterans, they always suggest to select the projects that are MAHARERA approved, the location of the project is fruitful and has scope for a lot of price appreciation and infrastructural development, and the developer has a good credibility and name in the market with the positive perception in the minds of the investors and customers alike. And honestly, there are seldom projects that pass the litmus test and all the other required parameters as there are quite a few developers in the market that keep the customers at the focal point of every brick and mortar plus weave each of their plans and designs considering their needs and requirements. Hence, a lot of onus lies on the shoulders of the customers to pick and choose the developer that is adored and passed by the realty experts. 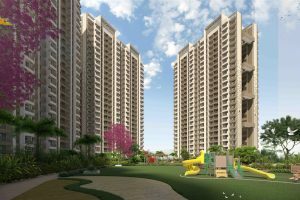 Our project Regency Anantam that is known for offering 1 BHK Flat in Dombivli KDMC Approved has been winning hearts of the industry experts, critics, and veterans even before its launch. We are offering Low Price Flats in Dombivali and that too without any compromise on the standards and parameters of quality and class along with the finest of amenities and facilities in the township project.